Google today unveiled its new Mode watchbands, marking the company’s entry into the smartwatch accessory market. Unfortunately, Canadians won’t be able to purchase these bands yet, but Google is selling them in the U.S. through the Google Play Store, Best Buy and Amazon, at $50 for the silicone version, and $60 for leather iteration. 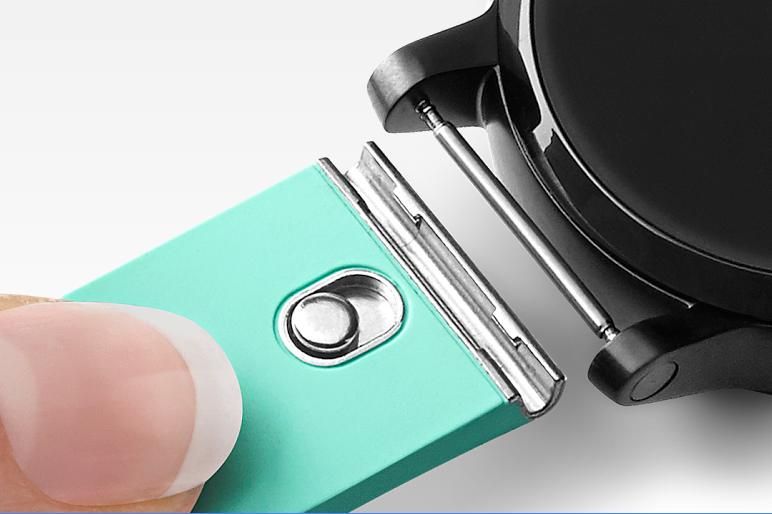 According to Google, the concept behind Mode watch bands is to offer Android Wear users the ability to easily snap in and out new watch straps via a clasp mechanism. Furthermore, this also seems to be the first set of mode watchbands, as Google is stated it’s open to 3rd party accessory companies manufacturing bands. It’s unclear when or if Google’s Mode watch straps will come to Canada, but we’ve reached out to Google for more information and will update this story when we learn more.